I’m sitting in a cyber cafe in downtown Nairobi, Kenya. The cyber cafe is located in my favorite kind of building to get lost in: an African mall. 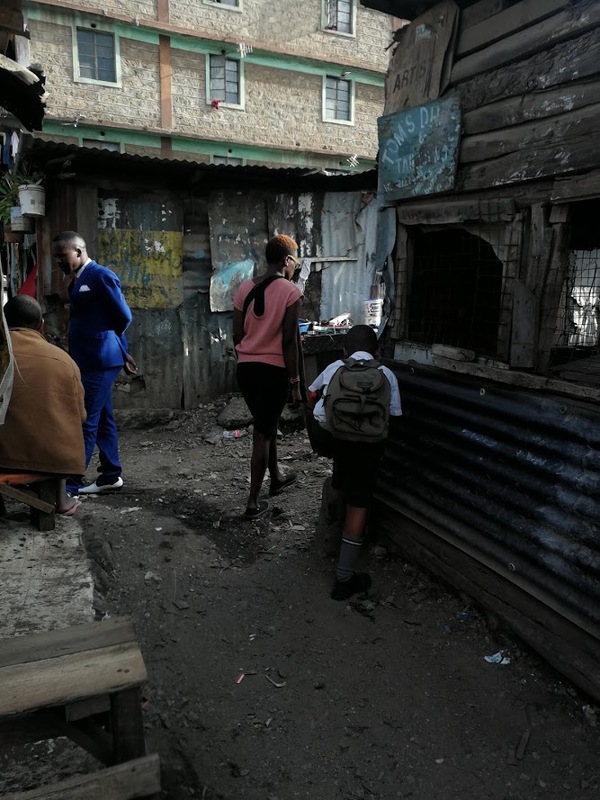 In contrast to the western-style shopping malls in the Nairobi suburbs, most notably Westgate shopping mall, this one is a concrete and steel labyrinth of flashing neon lights, phone shops, barbers, bookshops, and cyber cafes that also offer help with visa applications. So what have I been up to? 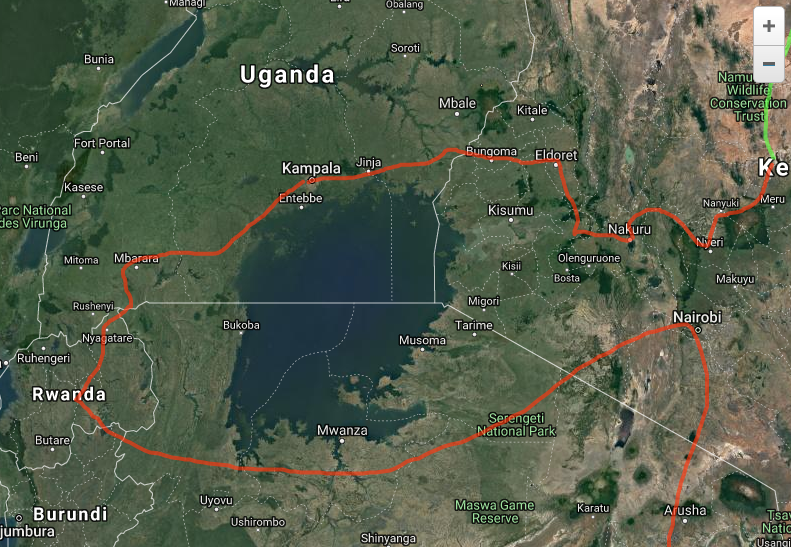 I cycled around lake Victoria, 2000km of fun! 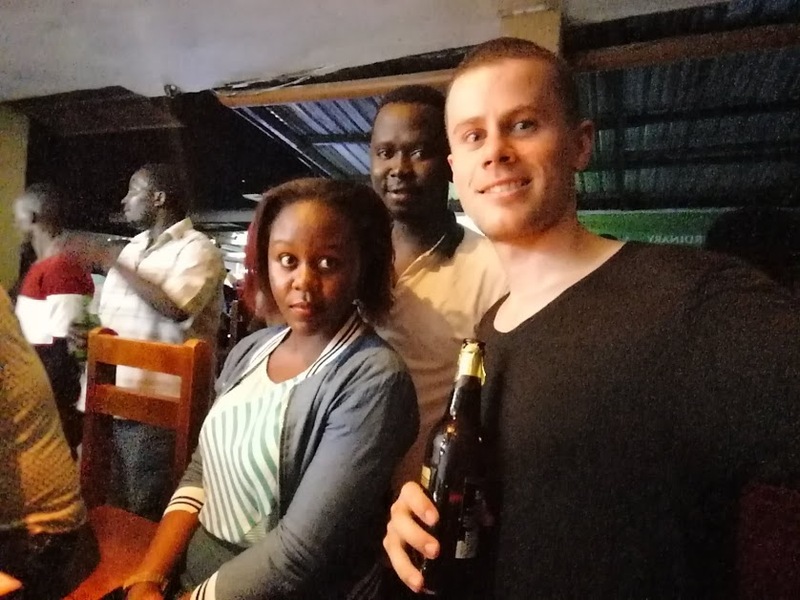 From Kampala, I cycled West and I ran into Wiston in Mbarara. 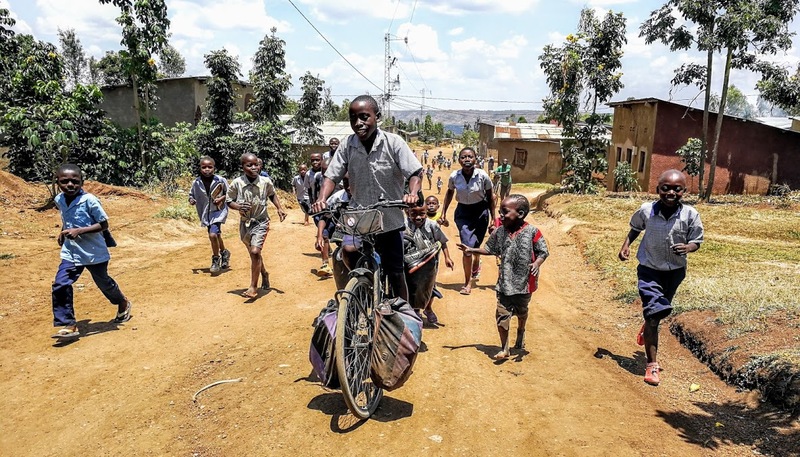 I was escorted by children on every Rwandan hill. I was “caught” wild camping for the first time in my life. I stayed with the “chef de colline” in Nyakibande. Waziri Rwita surprised me with good coffee in Tanzania. I hung out with Hussein and Grace in Isebania. I attended a femme international training in a school in Nairobi. 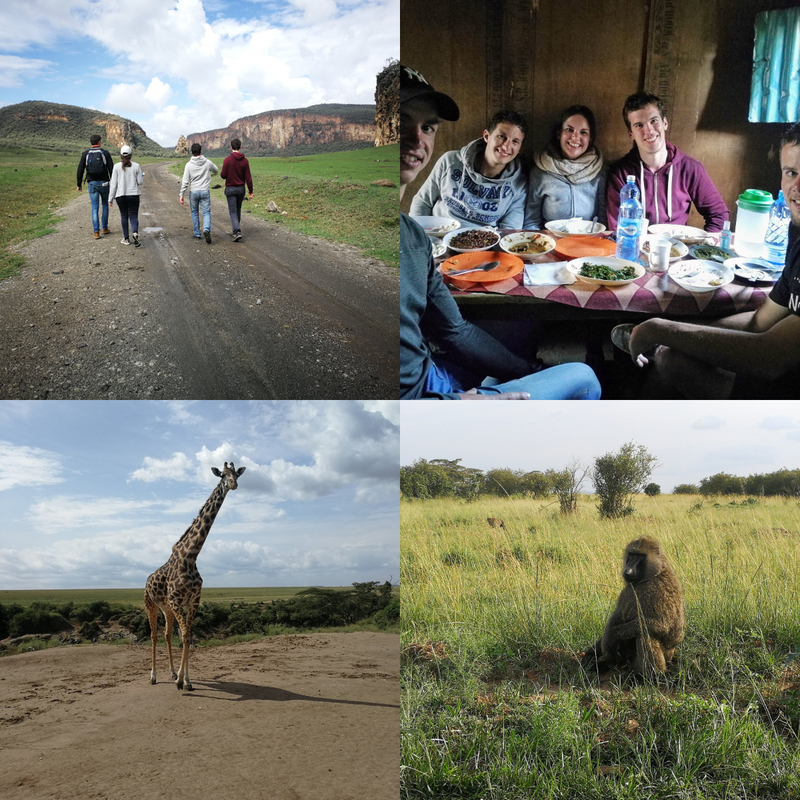 Back in Kenya, I visited Masai Mara and Hell’s Gate national parks with old friends. The first three days after leaving Kampala I followed the main road towards Mbarara. Victoria lake was always nearby, but rarely visible. The lake is surrounded by swamps and water-plants. 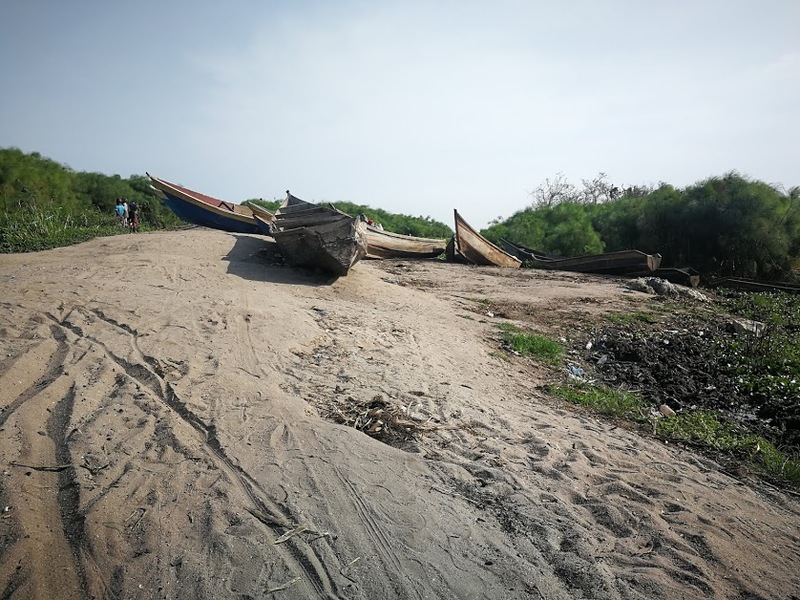 There are small villages scattered on the shore of the lake, and fishermen selling their latest catch on the side of the road. 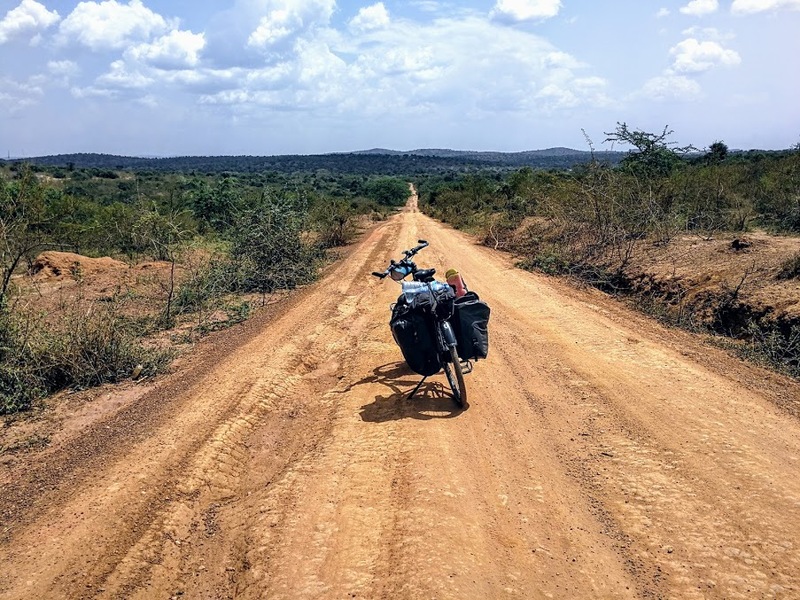 After three days, and a night of wildcamping, I arrived in Mbarara. I was exhausted and hungry so I got a hotel room. For the first time in Africa I bumped into a friend by coincidence: Wiston randomly showed up at a street food stand where I was buying dinner. I met Wiston two years ago during my first visit to Uganda (and Africa). We had dinner and discussed how he was going to propose to his girlfriend. Later at night, we went for drinks in a local bar with Wiston’s girlfriend – fiancee by the time this is online – Charlotte. 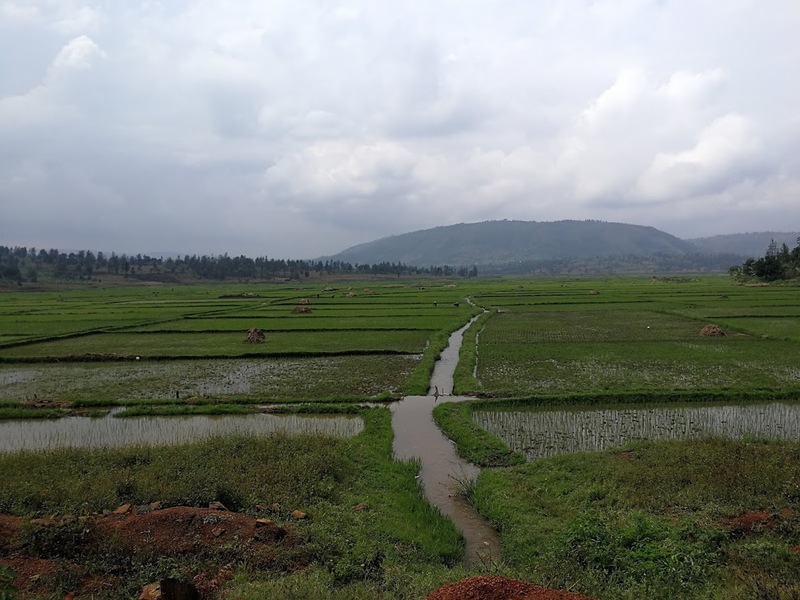 South of Mbarara, West of Lake Victoria, the landscape changes. 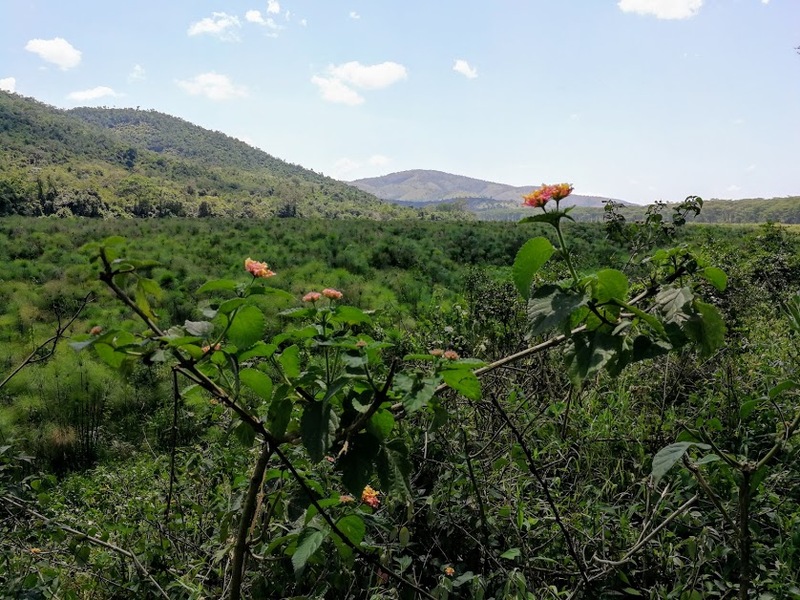 The kind of hills that are typically associated with Rwanda stretch far into southern Uganda. 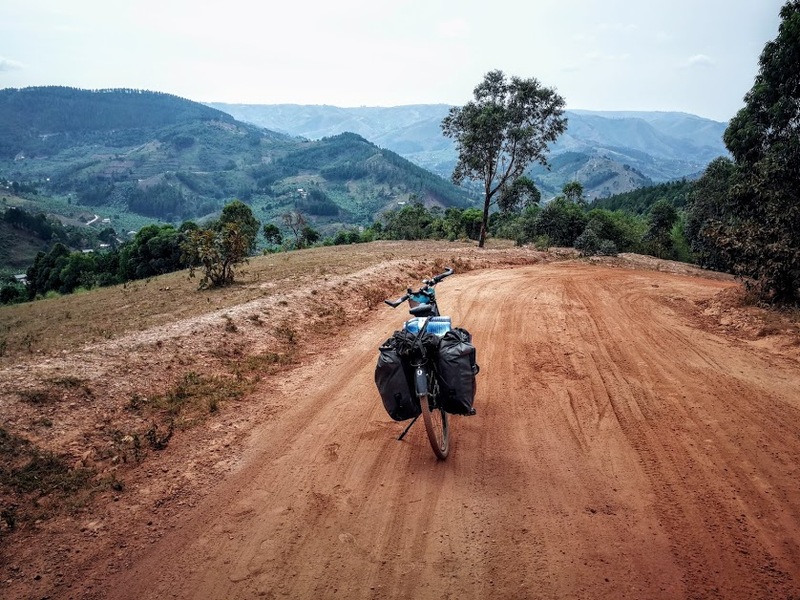 I was ahead of schedule, so I had time to ride dirt roads over the hills to the border with Rwanda. I liked this part a lot: tea plants as far as the eye can see, fresh bananas, short but though climbs … my cup of tea. 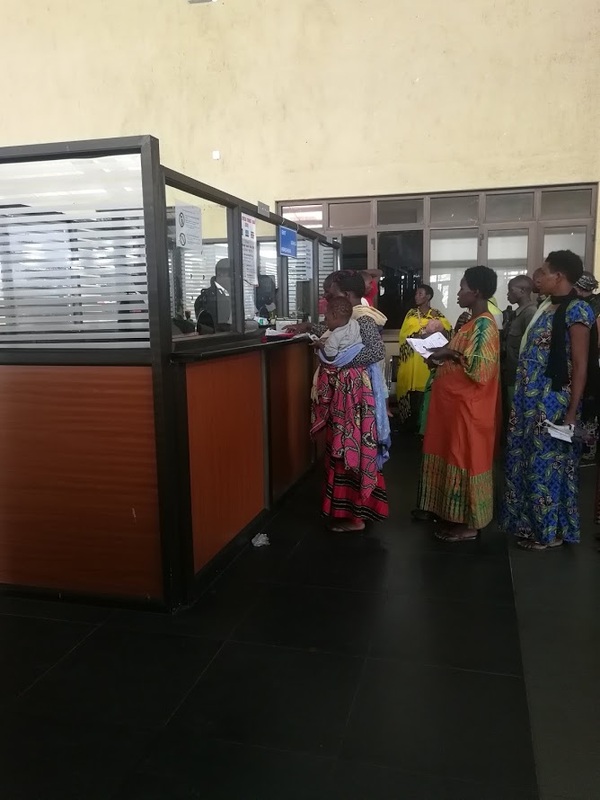 the line at the Rwandan immigration office. 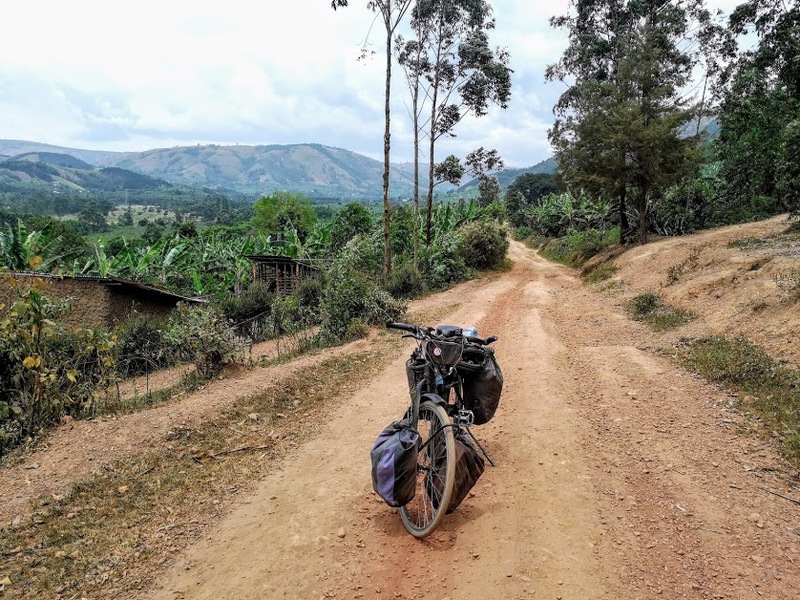 South of the Rwandan border I cycled along the Kagera river for a couple for miles before going into the hills towards Nyagatare. The Kagera river constitutes the physical border with Tanzania. 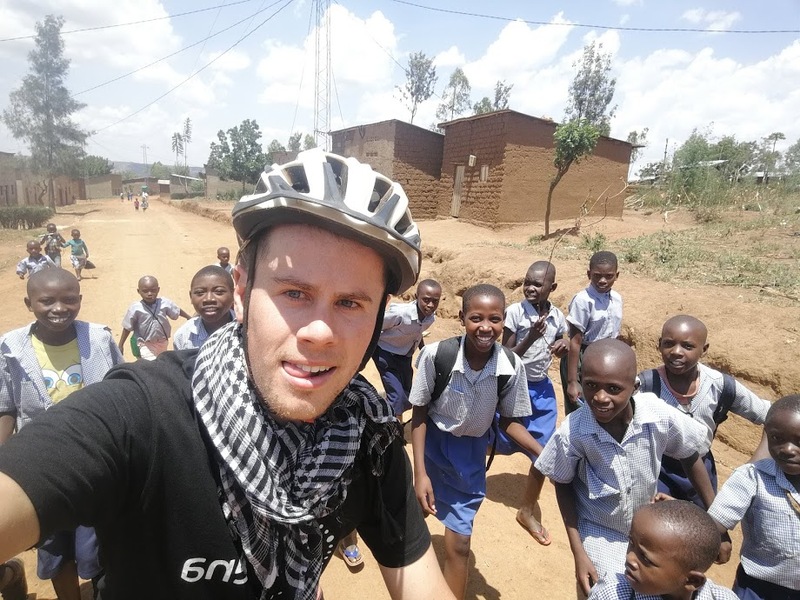 Rwanda is quite different from the other African countries I cycled in. Plastic bags are banned, so there are no piles of plastic waste. Cleanliness in general is taken very seriously. Kigali is a lot cleaner than Brussels for example. Secondly, there are a lot of people… everywhere. Rwanda is by far the most densely populated nation in Africa, so I was never alone. 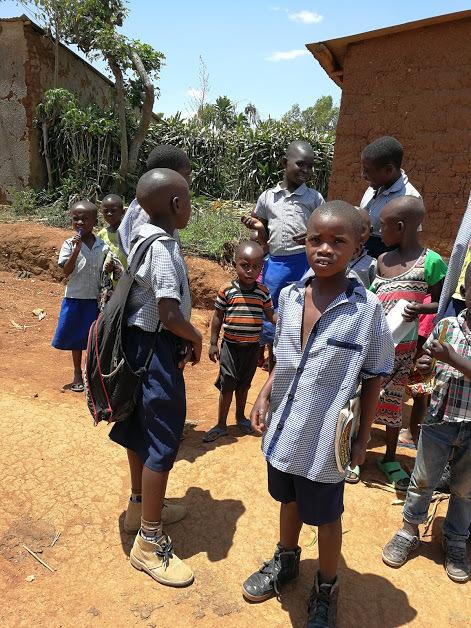 The kids in Rwanda also behave differently. They followed me, sometimes for miles – there’s a lot of running talent out there – but they got scared when I offered them a ride on the back of my bicycle. children in the hills around Nyagatare. The national language of Rwanda is Kinyarwanda, and a lot of Rwandans know Swahili too. In the past French was thought in schools as the main second language, a result of Belgian colonial rule. However, the current government’s discontent with French support for the genocidal regime in 1994 resulted in a change of language policy. English became the first foreign language thought in schools. Personally, I used the following rule: if a person looks over 40 -> try French first, if not -> English. Did I mention I like the hills in Rwanda? The busy roads of Rwanda are always fun. Every time I stopped I was approached by 20+ people within minutes. I enjoyed this. 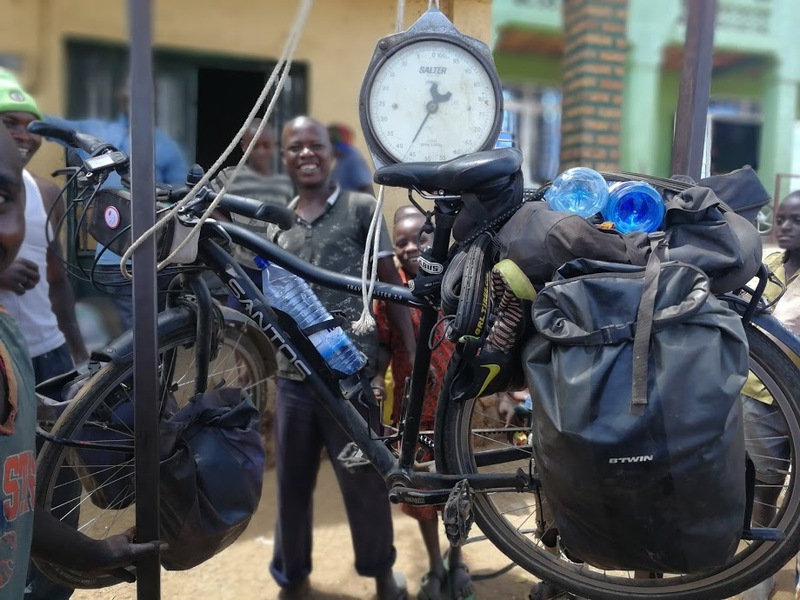 In the picture below a group of men helped me to weigh my bicycle. 43kg apparently. In between the hills, where there’s enough water, there are large rice fields. The picture above was taken on the third day in Rwanda whilst climbing Nyakibande Hill, Northern province. That evening I wanted to camp wild, because it was my last chance to do so before arriving in the capital city, Kigali. I searched for an abandoned camping spot, but couldn’t find one. I ended up sneaking into a banana plantation on Nyakibande Hill when it became to dark to cycle safely. However, I did not notice that some kids saw me go in. Those kids told their parents that they had seen a banana thief. Their parents subsequently informed village chief Dewo – chef de colline – about a stranger in the banana plantation. An hour later Dewo entered the banana plantation with two other men to catch the thief. I heard them coming, and could see their flashlights from inside the tent. I stepped out of the tent, walked towards them, and extended my handed: “bonsoir messieurs”. The three men were stunned, but they understood that I did not intend to steal bananas. Meanwhile, I saw children peeping from behind banana trees in the distance. They had followed Dewo to witness the scene. 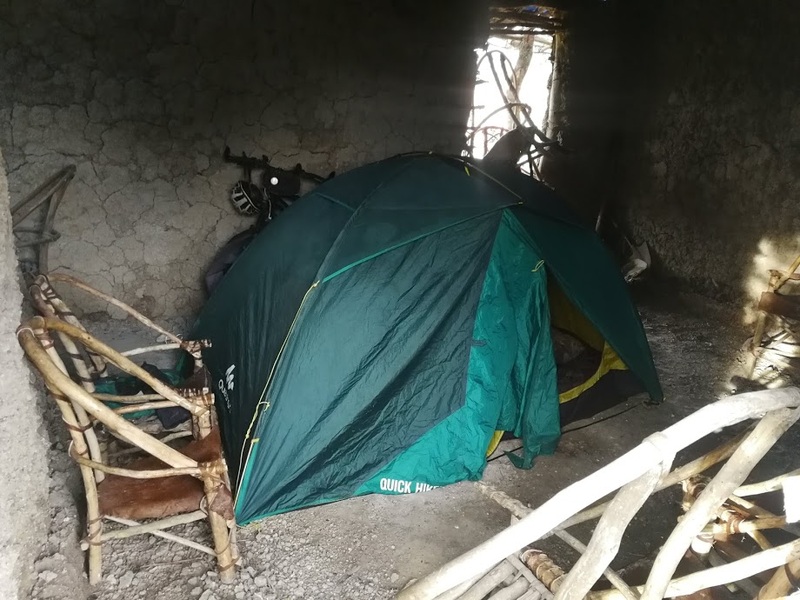 After I explained that I had set up my tent in the banana plantation because it was to dark to cycle safely down Nyakibande hill, Dewo said I could stay with his family. Here’s a pic taken the next morning. The next day I arrived in Kigali. I met Sandra, the mom of a French/Rwandan friend of mine. Sandra runs a school in Kigali, and she let me stay in her house together with Daniel, a retired Québecois who volunteers all over the world. 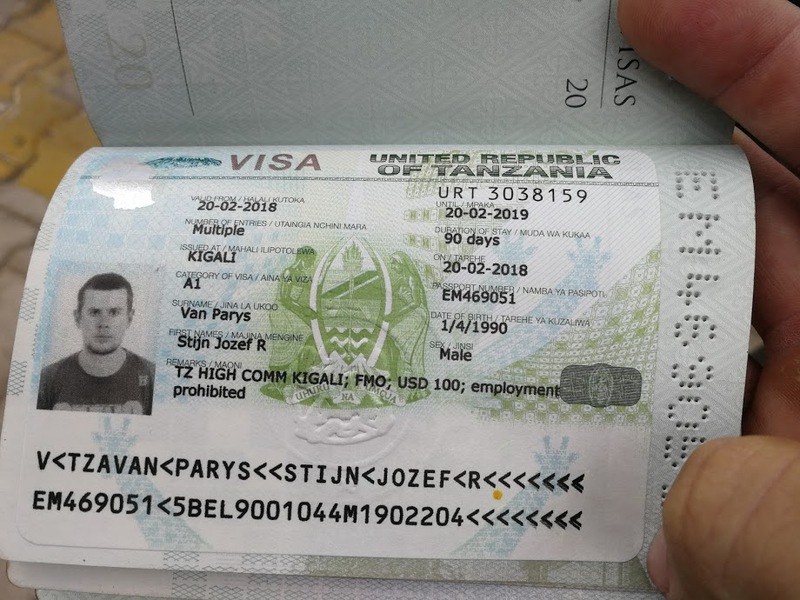 I hung out in Kigali for five days and obtained a visa for Tanzania. Meanwhile, Daniel showed me the best restaurants in town. 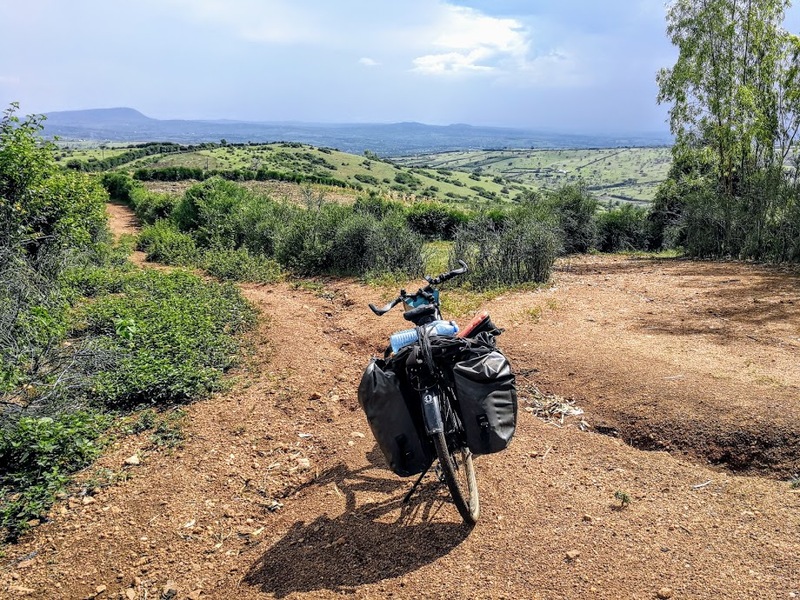 From Kigali I cycled towards Rusomo, and crossed the border into Tanzania. 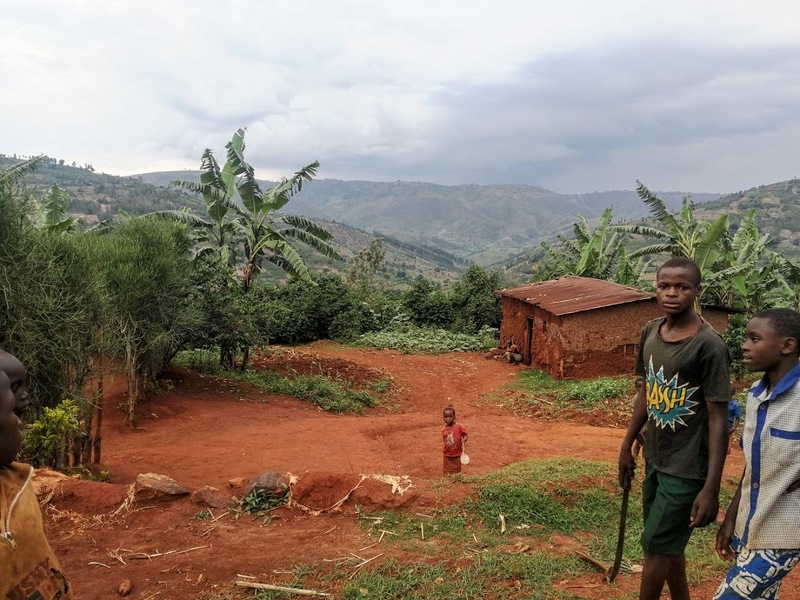 The Rwandan hills continue far into Tanzania, but there are far less people living on these hills compared to the ones on the Rwandan side of the border. Ever since I left Ethiopia, good coffee has been hard to find outside of major cities. 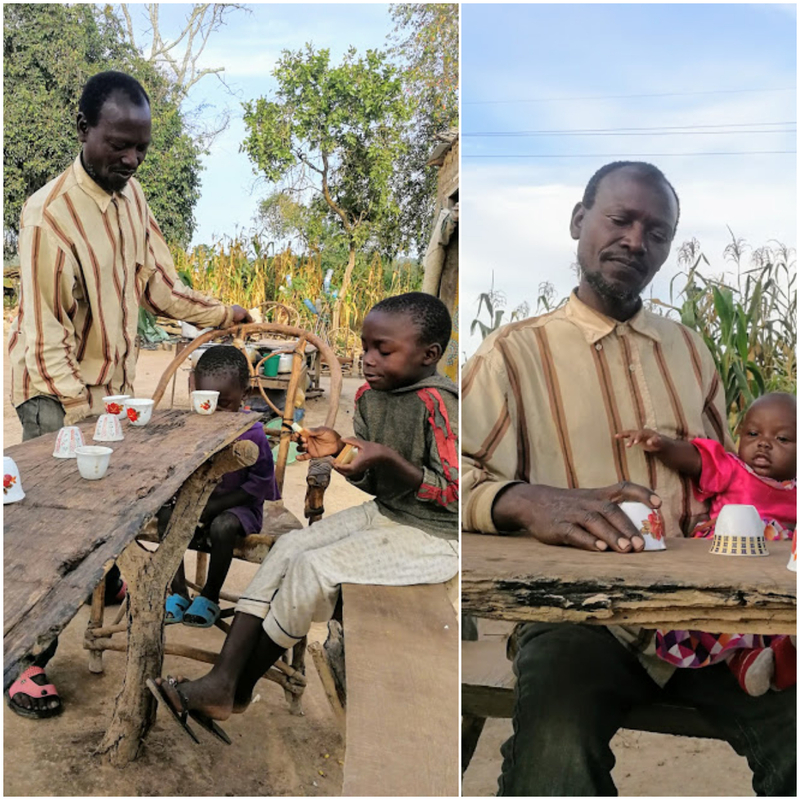 Although there are many coffee farms in Tanzania/Kenya/Rwanda, local restaurants only serve instant coffee. Every now and then I unexpectedly stumble upon good coffee. 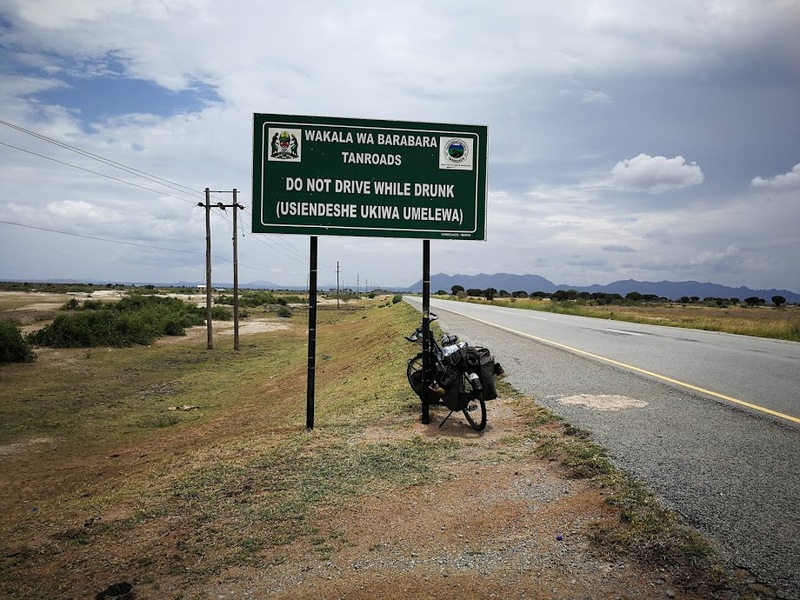 Along the main road from the Rwandan border to Dar-Es-Salaam, Waziri Rwita runs a coffeeshop. His clients are mostly truckers that transport goods from the port of Dar-Es-Salaam to Rwanda. He uses locally grown beans, and only serves black coffee. Black coffee is my religion, so needless to say Rwita and I get along well. After a cup or five, it started to rain. Rwita proposed that I stay the night there, so I set up the tent. I also stayed in guest houses on my way to the Kenyan border. 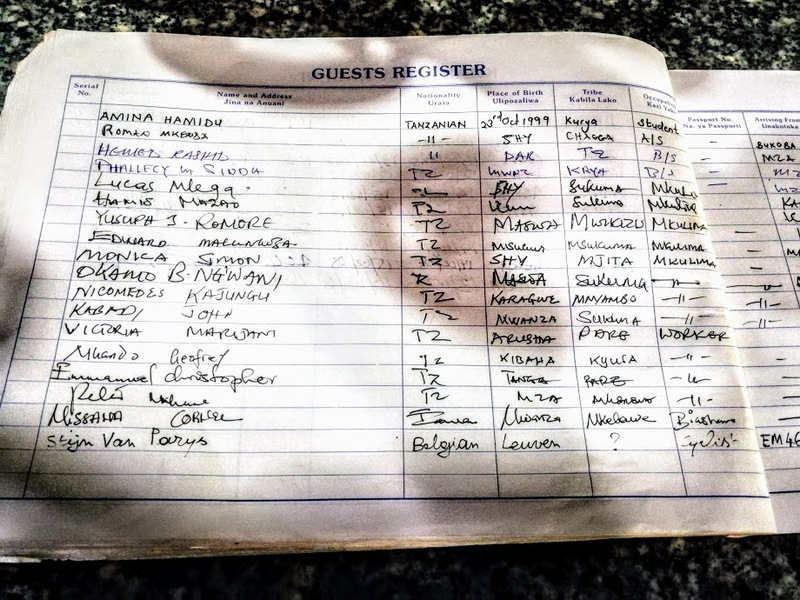 All guesthouses have a standardized guest register in which one field says “tribe”. Sadly, I’m not a member of a tribe. Although I could argue that some Belgian politicians use tribal sentiment to spur unrest. 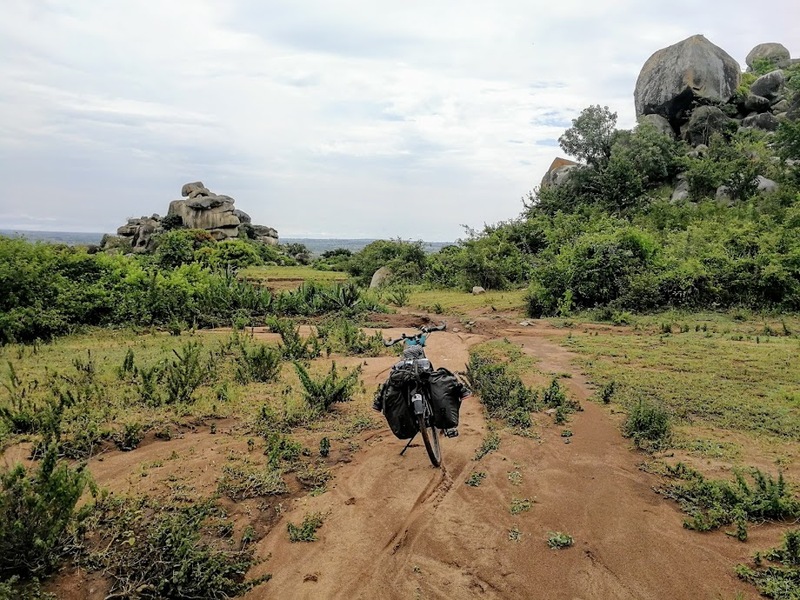 From Mwanza I cycled along Serengeti national park towards the Kenyan border. Some great views and wildlife along the way. Even some useful advice on drinking & driving. 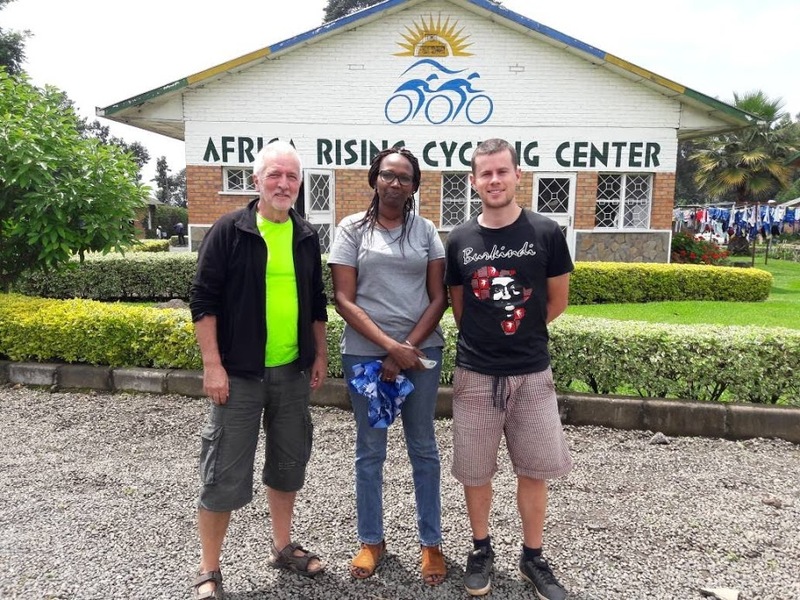 After cycling into Kenya for the second time (first time coming from Ethiopia in January) I met Hussein and Grace in Isebania. Hussein has a business in repairing car parts. He replaces old clutches and renews disc brakes. 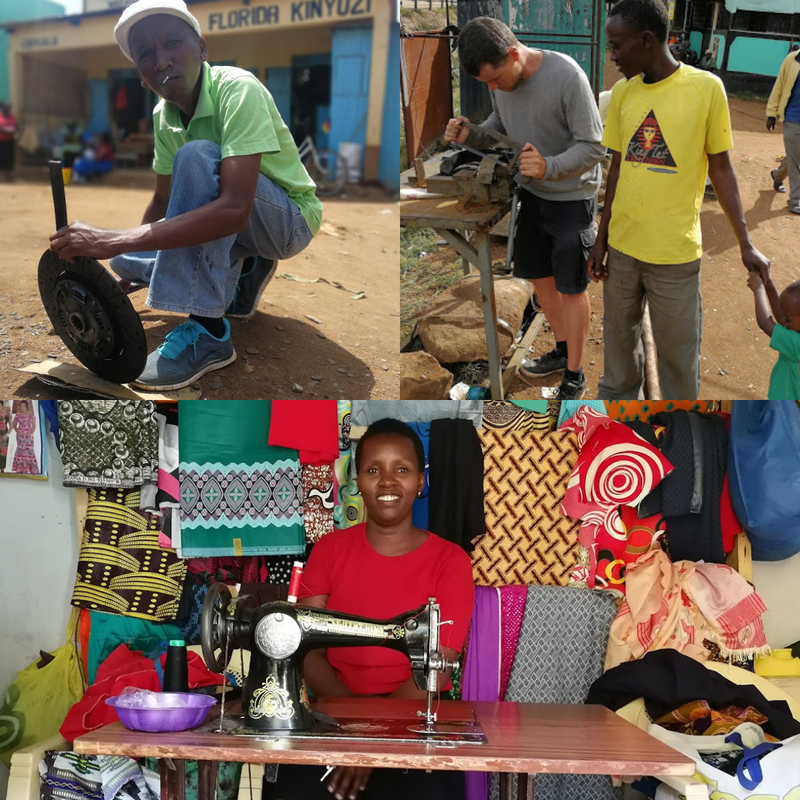 Grace makes and repairs clothes. She uses a lot of bright colors to make dresses. Hussein is Muslim, Grace is Christian. He takes their three children to the mosque on Fridays, she takes the kids to church on Sundays. When the kids are older they can decide for themselves. I like this arrangement. I arrived in Nairobi on the 6th of March, and I like it immediately. After the rest and tidiness of Kigali, I enjoyed the noise and madness that defines African cities (outside of Rwanda). 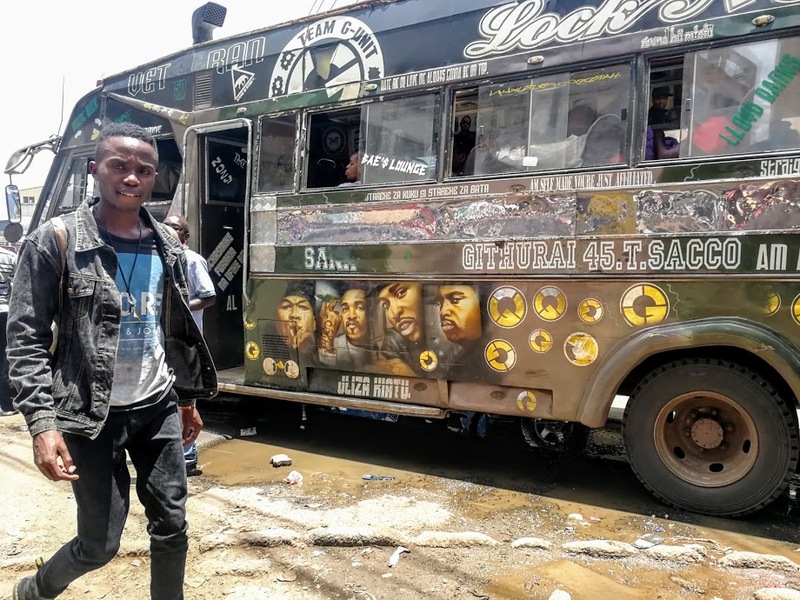 Nairobi has some of the most eye-catching commuter-buses – so called “matatus” – I have ever seen. There seems to be a competition among bus drivers/operators to have the best looking matatu. Most of them look very tough, with graffiti drawings of rappers or football players covering the entire body. 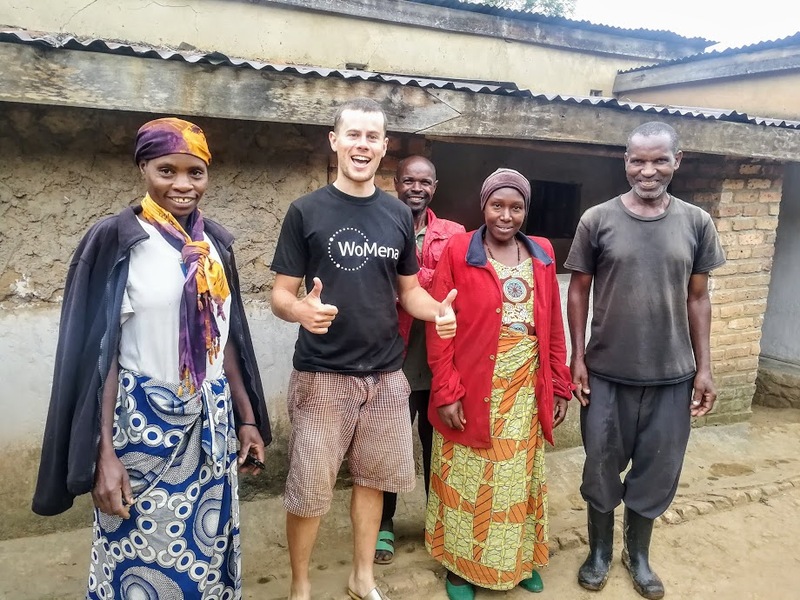 During my stay in Kampala in the beginning of February, my friends of WoMena told me about a similar menstrual health organisation based in Nairobi called Femme international. I had some free time in Nairobi, since the friends I was meeting there were flying in three days after I arrived. 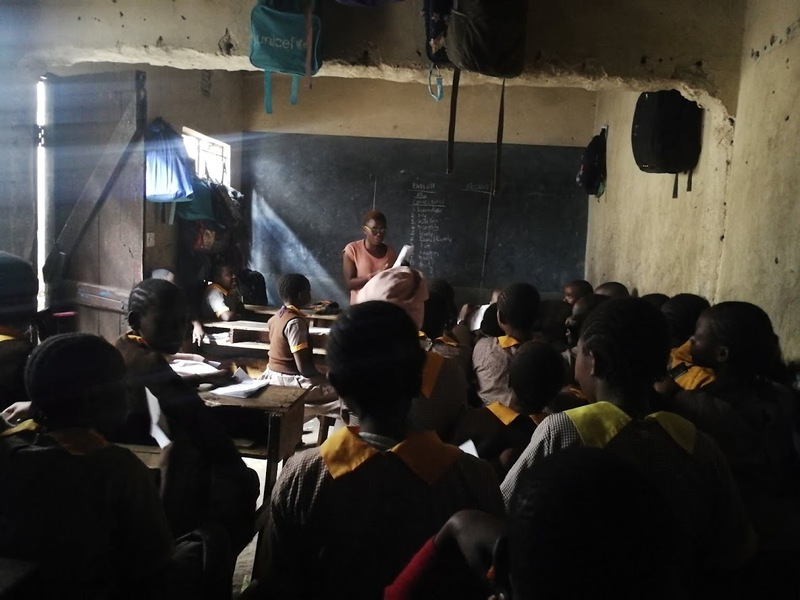 So I invited myself to the Femme international office, and joined trainer Emma for a session on menstrual hygiene in a school in the Nairobi suburb of Eastleigh. Emma spoke to the girls of a primary school (age 10-14) about the different possibilities to manage menstruation: menstrual cups, disposable/reusable pads. This was the closing session of a series of classes on menstrual health. At the end of the session the girls had to write down a unique password. Each girl can buy the product of her choice, and be reimbursed on her (or her parents’) mobile money account using this password and the applicable product code. I was very impressed by this. For the past week and a half, I’ve been enjoying the visit of four friends. 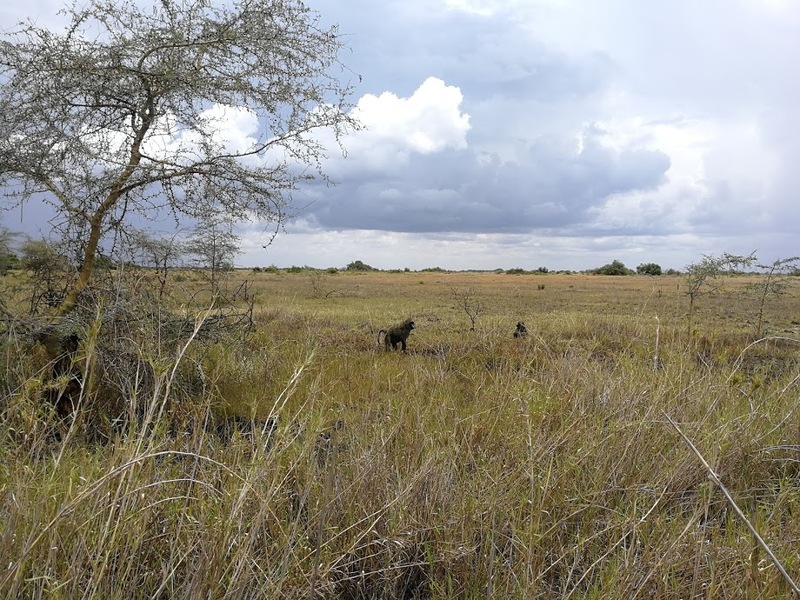 We visited Masai Mara, and Hell’s Gate national park. Besides spotting wildlife I really enjoyed seeing familiar faces, and getting an extensive update on all the gossip I’ve missed back home. 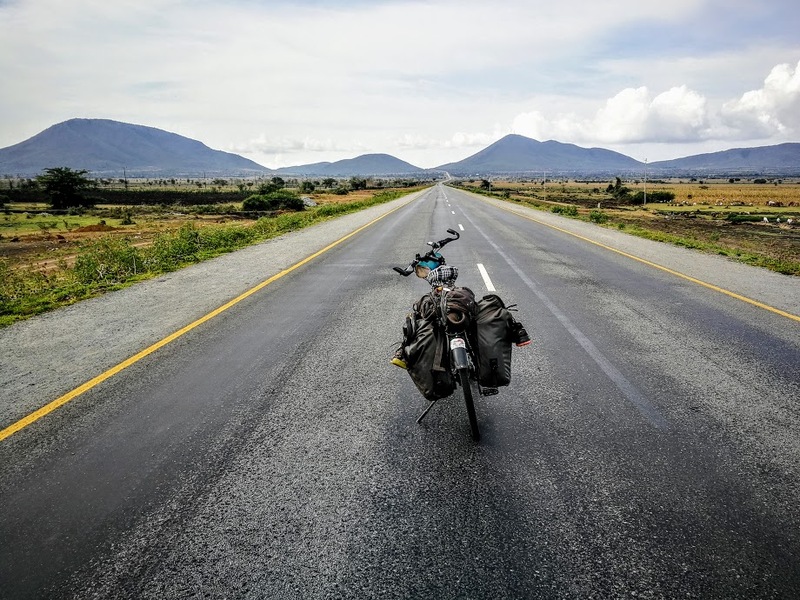 Fully charged with new energy I’ll cycle back to Tanzania, and further down to Malawi, as soon as this is online! Amazing, I hope you enjoyed Femme International workshop. Proud of you Man, I like that chair with an animal skin, it was great pumping into you and having that discussion about the Proposal to Shallot. wish u all the best in your Journey your a big inspiration to us the youth. great pictures, you really got me hooked to your story. A welcome diversion from the cold and gray “spring” time here in Leuven.